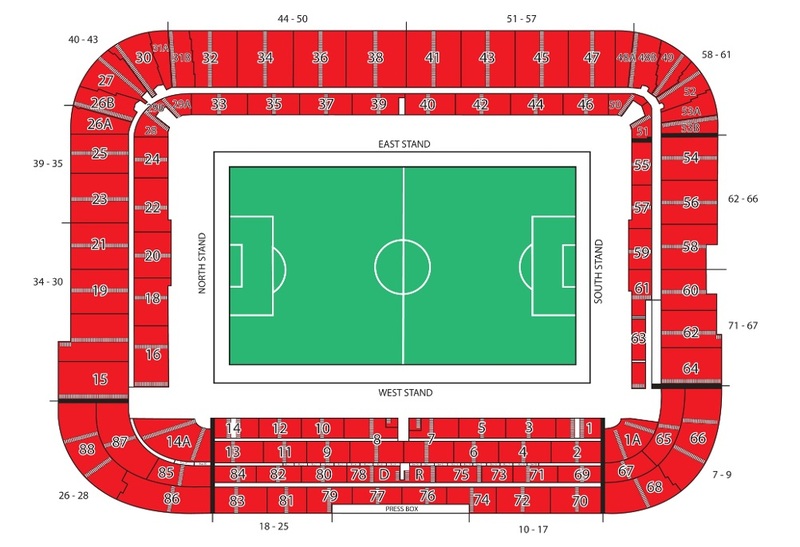 The Riverside Stadium has a current capacity of 34,988 all seated, although there is provisional planning permission in place to expand that to 42,000 if required. It was the first stadium designed and constructed to comply with the Taylor Report following the Hillsborough disaster and, at the time, was the biggest new arena to be built in England since World War II. The stadium offers unrestricted view of the playing area from every seat. Up to 4,000 visiting supporters can be catered for in the south stand behind one of the goals. The views of the action are unrestricted and facilities including toilets and refreshments are very good. If you bring a large away support, watch out for the halls under the stadium getting crowded at half time and after the final whistle as they're quite narrow. There are very few local pubs to mention and most choose to get a drink in the town centre before and after games. Several pubs in this area have been given mixed reviews but Doctor Brown’s on Corporation Road seems a firm favourite with visiting supporters. A 10 minute walk from the stadium, the pub serves real ales, offers Sky TV and generally has a good mix of home and away fans creating some great banter. The post code for this pub is TS1 2RR. Also in the town centre you'll find many fast food restaurants to fill the gap. Street parking is available up near the A66 turn off but is approximately a 15 minute walk to the ground. Along the river, there are many private car parks mostly charging between £4 and £5. However, it can be a nightmare to get out afterwards from any of these unless you're able to get back before the main rush. Be aware of this if you're in a hurry. 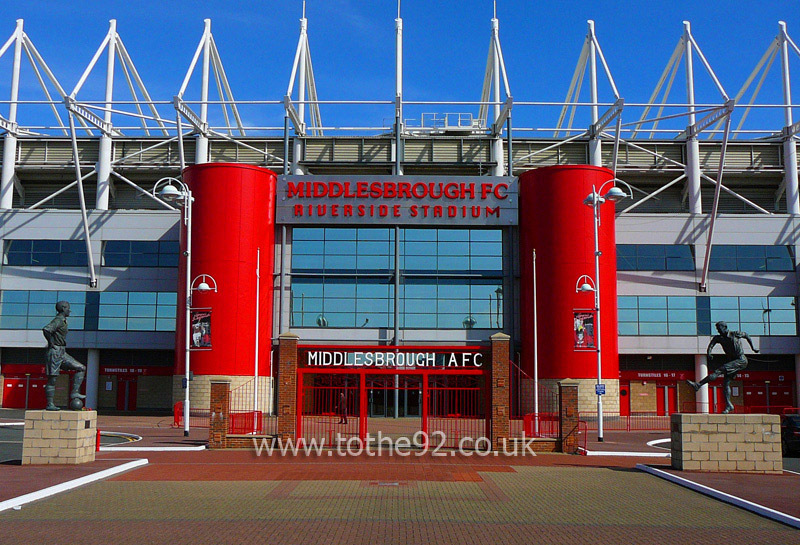 The nearest / closest train station to Middlesbrough's Riverside Stadium is Middlesbrough. The railway station, located on Albert Road is a 15 minute walk away from the stadium. Middlesbrough station offers mainly fairly local services, but mainline connections on the GNER East Coast line are available at Darlington and Newcastle. We don't currently have any fans reviews from Middlesbrough's Riverside Stadium. To tell us about your experiences and to feature on the site, simply complete the fans review form below!